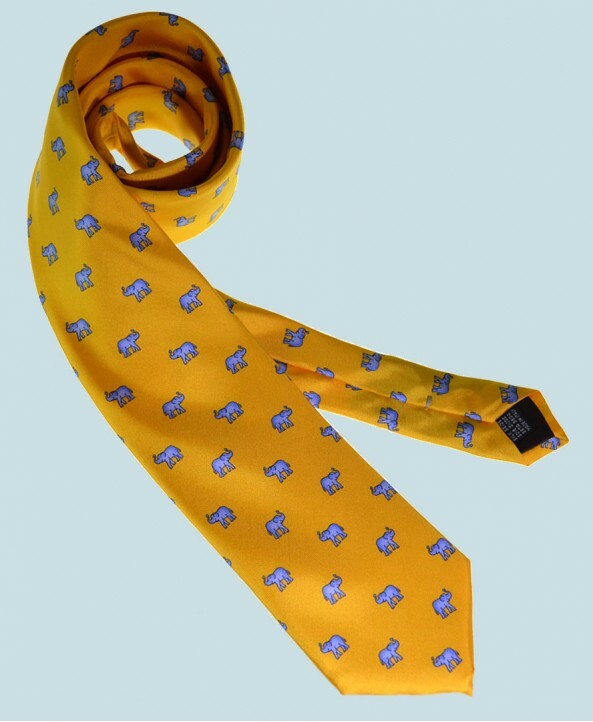 This classic silk tie features a neat pattern of light blue elephants with lucky raised trunks on a sunflower yellow background. 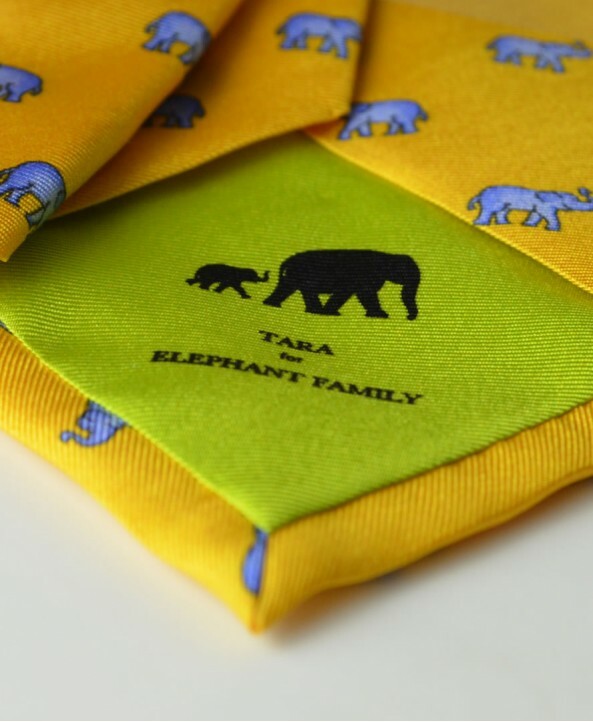 The tie is tipped with an Elephant logo for Tara, the elephant behind the founding of Elephant Family the UK's leading charity working to conserve the endangered Asian Elephant. 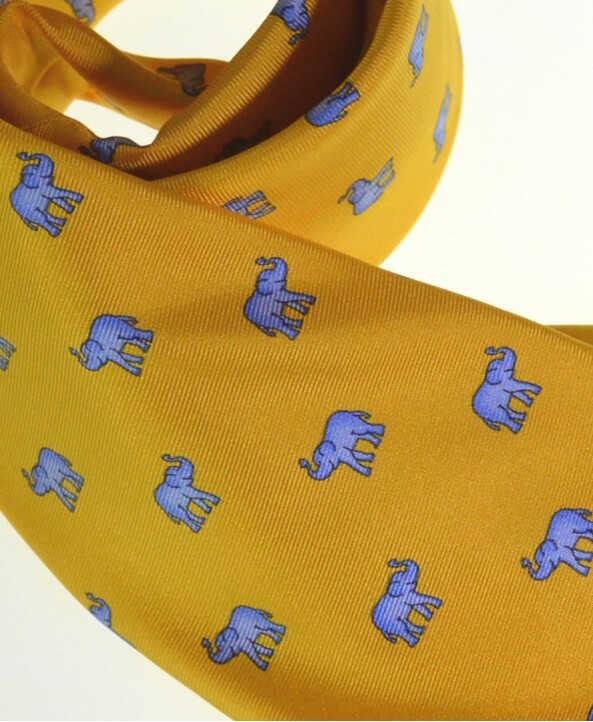 A donation of 10% of the purchase price of this fine silk tie will be made by Fort & Stone to support Elephant Family in their work to conserve the endangered Asian Elephant.